A teacher at Paris’ Jean Perrin kindergarten, who said he had been stabbed by a man shouting “Islamic State”, has admitted he made the story up, prosecutors say. The 45-year-old teacher said he had been attacked while alone in a classroom in Aubervilliers, a suburb of Paris. However, prosecutors said he had wounded himself with a box cutter and was now being questioned as to why he lied. France remains on high alert following the terror attacks in Paris on November 13 that left 130 people dead. The teacher – who has not been named – has been treated in hospital for superficial wounds to his side and neck. The incident sparked a manhunt in the northern suburb, as police tried to track down the alleged attacker. The anti-terrorism branch of the Paris prosecutor’s office also opened an investigation for attempted murder in relation to a terrorist act. After the incident, French Education Minister Najat Vallaud-Belkacem visited the scene and vowed to increase security at schools. All classes at the Jean-Perrin preschool were canceled. Mayor of Aubervilliers Pascal Beaudet said it was not yet known what had motivated the teacher to lie. He said the teacher had 20 years’ experience and was “appreciated” by parents at the school. Last month, the ISIS’s French-language magazine Dar-al-Islam recently urged followers to kill teachers in France, describing them as “enemies of Allah” for teaching secularism. 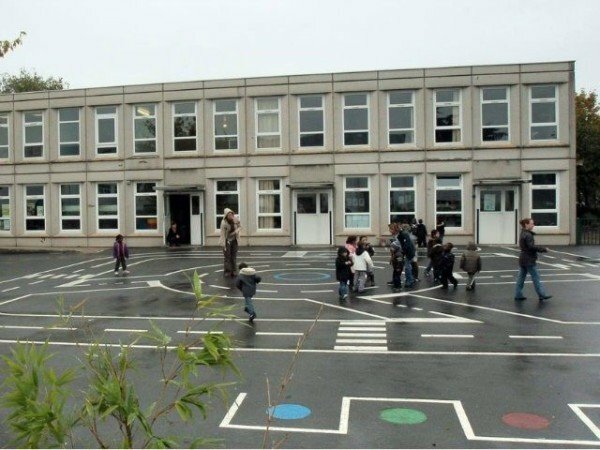 Rachel Schneider, of the French primary school teachers’ union SNUipp, said many teachers had been alarmed by the threat. “We have received many calls from colleagues, who are very worried,” she said.